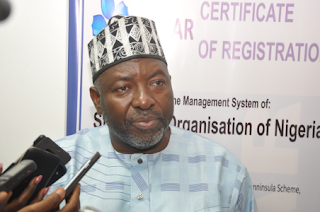 The Director-General of Standard Organisation of Nigeria (SON), Dr Paul Angya, has alerted the federal government of massive importation of substandard goods into the country. This, he said, has forced the SON to shutdown the Electronic Provisional Clearance Certificate (ePCC) platform after the 90 days expiration elapsed this year. The Soncap process is done online without the intervention of any member of staff of the organisation, following the scrapping of hard copy papers for effective and better service. Nigerian Customs Service has established a digital platform, an online platform through which products coming into Nigeria can been seen and where people are supposed to register their import, all manifest of all consignments coming into Nigeria can been seen there. He continued, “So that platform enabled us to see almost everybody who is importing which was not the case before. Today those who were beating the system are having challenges. The DG explained that the ePCC platform which has a self-service window, was meant to open to clients’ need only for three months but SON at a meeting with stakeholders extended the platform for another three months after the stakeholders pleaded for further extension, a move Angya said, was the last after which the importers would have to strictly follow the legal process of Soncap . Meanwhile, some groups of importers in a statement , alleged that the government agency had not approved their Soncap which they claimed was heaped up in the organisation. “We have over the last few months evaluated the system and discovered that the substandard products are majorly from China and other Asian countries,” he noted. The clarification from the SON came on the heels of some group of importers, alleging that the SON DG had refused to approve their Soncap.